Do you ever just get in a food rut? Sometimes it feels like we are having the same things over and over and over again. An endless loop that makes our favorites seem not so exciting when they pop back up on the menu. Blueberry muffins are one of those foods that we love, but after a while you just have to say, "Again?" I did a search on Golden Blossom Honey last week to see if they had anything that looked interesting. 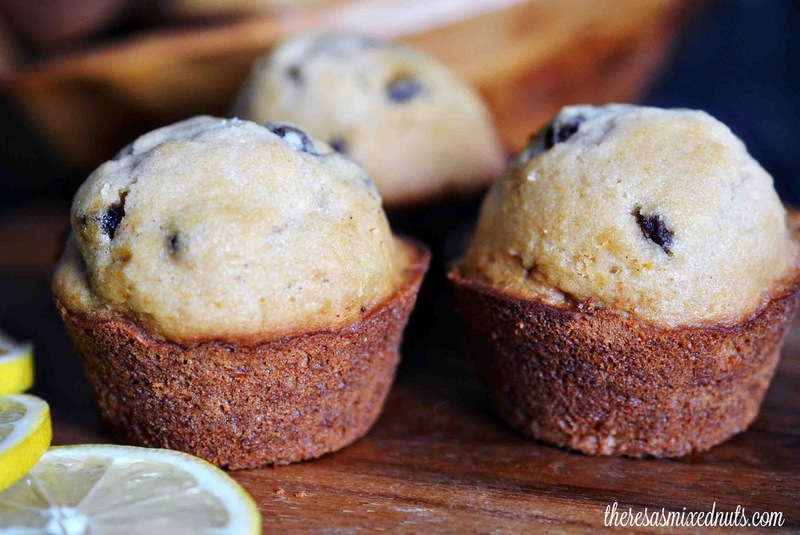 I wanted to make some muffins that we've never had before, and this Lemon Raisin Muffin recipe caught my eye. Normally, I'm not an overly huge fan of most things lemon flavored, but my family is, so on the menu it went. Bonus points because I already had all the ingredients on hand, so no extra trips to the grocers. Schwing! After filling the muffin tins, I'm guilty of eating some of the leftover raw batter out of the bowl. Most of you probably do it to, so don't judge me ;) It's just my way of giving it a little taste test to make sure everything's on the up and up before popping the pan in the oven. If I don't like the batter, I don't bother eating the muffins. I'll let my family be the guinea pigs when they are done. The lemon raisin muffin batter did impress, so I happily indulged in my fair share of the baked muffins fresh out of the oven. Are there foods you seem to have more often than others? lol I eat the same thing day in day out 365 days a year. A rut or consistency? These muffins look so good. I am always looking for new food ideas. I get tired of eating the same stuff. Lemon and raisin! What a nice combination of flavors! This sounds amazing. I bet my kiddos would love these! A nice combo! The muffins look amazing. My family will love this. They do look yummy! I'd probably replace the raisins with crasisins just because I like them better. They do look wonderful. I love lemon zest in my muffins. This looks yummy! The kids would be thrilled if I would try this. We’ll have this for snack. I love the taste of lemon. These look so delicious i will have to try this recipe on the weekend. These muffins look so delicious and easy to make. I wil have to get the ingredients i need to try this recipe this week. I love making muffins! This recipe would be awesome to try! That sounds like an interesting combo. I can't wait to make them. My goodness these are some absolutely delicious looking muffins that have made me so hungry right away. We have been using Golden Blossom honey as well at home & I am sure it adds more value to the recipe with some amazing taste. My kiddos love muffins so much..this will be a great recipe to try.. I love lemon anything so I will definitely be trying these ones out Theresa!! Thanks for sharing. Now, I think this is a combination I have not yet tried. I am sure it's going to be delish!